You’ve probably had the thought cross your mind once or twice, only to be refuted by some doubts. Leave a comfy salary and exquisite corporate benefits to work at a startup? Scary, but not as crazy as it might seem. 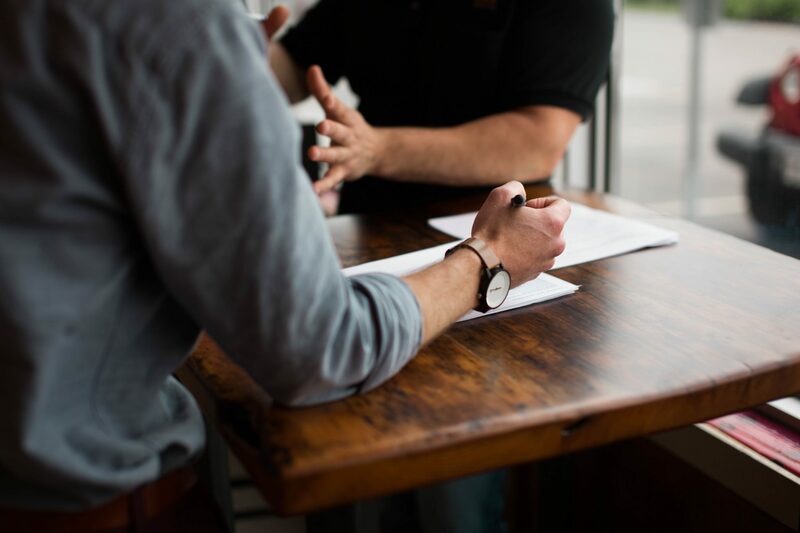 The truth is startups aren’t the unstable, career-shedding gambles they might seem to be; they could give you the opportunity to be free from corporate pain, and they might even take your career to the next level. Living in one of the most promising entrepreneurial hubs in the world only adds to that value. This is why you should work at a startup in Egypt. In the past few years, Egypt has become one of the fastest-growing startup economies in the world. With help from a young, tech-savvy population, a rapidly growing internet penetration rate, and a flourishing internet economy, Egyptian startups have been thriving. This climate is supported by massive foreign investors like 500 Startups and local accelerators like Flat6Labs and Cairo Angels. Not only does this offer you the opportunity to utilize your potential in an environment that supports innovation and change, but it also allows you to become a part of what could be the future backbone of the Egyptian economy. Instabug, WUZZUF, Vezeeta, Eventtus, Edfa3ly, and El Menus all started small and are now on Forbes’s list of the top 100 startups in the Middle East. At a startup, you’re expected to play a variety of different roles, which allows you to continually learn new and exciting things and significantly expand your skill set. From hiring and budgeting to strategizing and branding, you gain valuable business experience you can stack up on your CV. Besides, opportunities for career advancement could be much more abundant at a startup. At a startup, there’s more room for growth, it’s certainly not guaranteed, but it is more likely to have that space. When you work at a startup, wild ideas are not always discouraged, they could even be rewarded. This gives you the chance to generate new ideas that are taken seriously by innovative individuals who strive to break the mold of stagnating ideas. Your creativity could have a lasting impact on the future of a growing business, so why waste it where it’s not appreciated? However, the downside of the extra creative space in startups is that often times it takes a long time to establish a well-defined process and efficient workflow. But that could allow you to take part in defining the process. Startups allow you to be an influential member of a small team and own your work. This means you have more work to do and an important opinion in the decision-making process. It also means your work gets recognized a lot more simply because only one person is doing your job! Also, everything you do in a startup could play a part in the success or failure of the company. If your product succeeds you get a big part of the credit and if it fails you get a big part of the blame. This responsibility makes you accountable for all the ups and all the downs, which helps you learn invaluable risk assessment and crisis management skills. It also enables you to understand the value of personal ownership. Working at a startup could mean enjoying the benefits of flexible company policy and reasonable rules and regulations. Startups have a new, different, and less bureaucratic way of doing things. At a startup, you don’t have to stick to an annoying dress code, get approval from 10 different people to take a vacation, or wait 8 years to get promoted. Merit often rules in entrepreneurial environments: If you’re best at what you do, you get ahead. Sometimes, however, this flexibility comes at a cost. Startups often have a hard time keeping things organized when it comes to workflow and project management. Despite the confinement that often comes with strict company policies, it’s good to know your head from your feet. That clarity is something you could be giving up if you choose to work at a startup. Startups usually have more flexible work environments; this could potentially support stronger workplace relationships and promote work-life balance. If you work at a startup, your team is most likely the group of friends you hang out with after work. Moreover, many startups are big on flexible work hours and attendance. Choosing the right career path is a challenging endeavor. It takes patience, hard work, and sheer persistence. Working at a startup can significantly help you figure out which one is right for you because it allows you to explore multiple areas and handle many different responsibilities. This gives you the opportunity to dabble in different interests until you find which one you want to stick with. Working at a startup also provides you with the skills and work experience you need to accelerate your career at a much faster rate than a corporate job would allow. The WUZZUF Zone at Egypt Career Summit 2018. Source: WUZZUF on Facebook. Arguably the best advantage of working at a startup is the fact that the work you do there actually matters. At a startup, your ideas, opinions, and decisions contribute to building a company from the ground up. You help set the rules and shape the culture and philosophy of the business. In addition, you could get the chance to make a difference in your society. Entrepreneurs in Egypt strive to come up with innovative solutions to tackle societal problems and issues. Startups could give you the opportunity to be part of a company that’s helping in making a real difference in people’s lives. 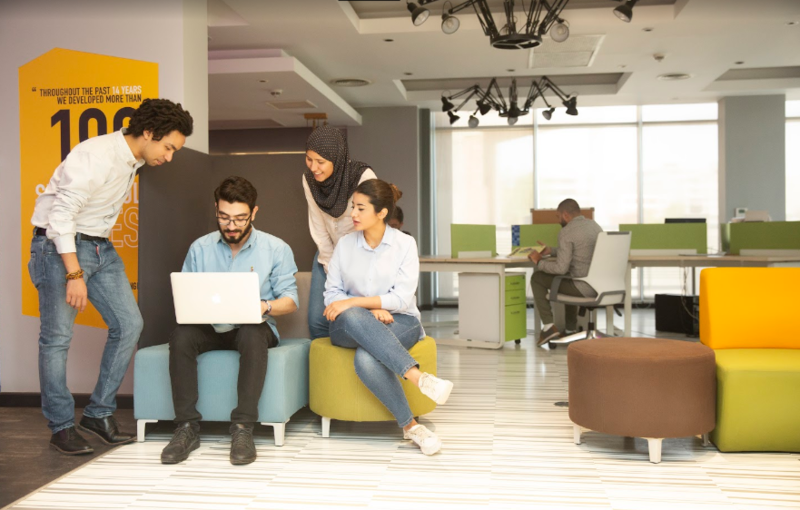 For example, WUZZUF helps solve the employment problems in Egypt by empowering professionals to make smart career choices that help them build and grow the careers that are right for them. And Vezeeta helps solve the endless dilemma of looking for a good doctor where you live by helping digitally connect doctors and patients in a fast, easy, and hassle-free way. The startup economy in Egypt is full of potential waiting to be tapped into. It’s breeding an essential cultural and social movement that offers a door of new unexplored opportunities. A startup could be your ticket to the career you want. It might not be the safest bet in the world, but it is a choice that could help you find the opportunity to learn multiple skills, gain more knowledge, and handle more responsibility that might help you develop both professionally and personally and do work that matters to you. Have you tried working at a startup? Let us know about your experience in the comments below.